Charging a Samsung mobile with a wire. Express Wireless Power Bank Chargers in crystal box packaging. Express Wireless Power Bank prices (lead time 5 days). Price includes full digital print one side, 2nd side add 50p. Delivery: £35 (tracked service). VAT extra. 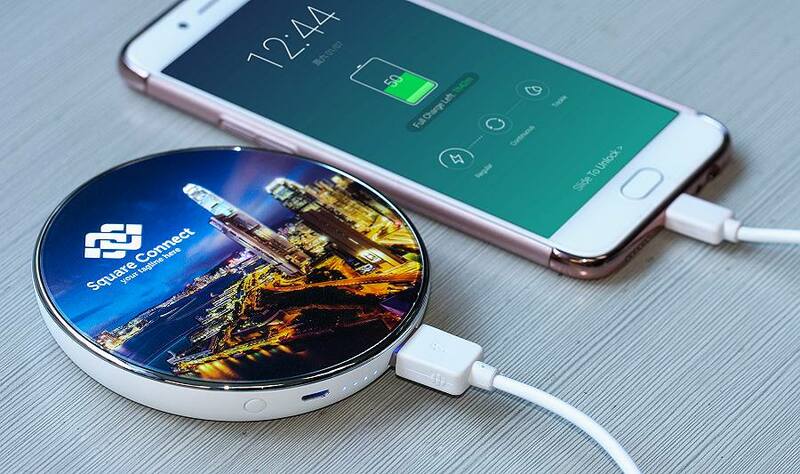 An Express delivery wireless charger with power bank with 5000mAh capacity with your promotional logo in full colour on the top surface of 96mm diameter. 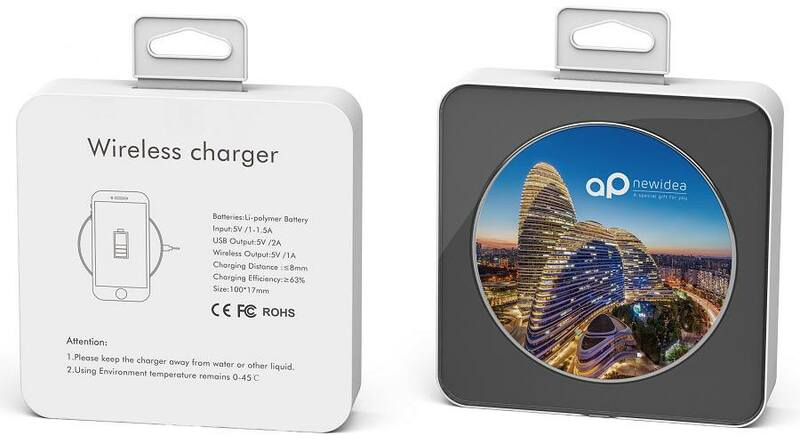 This is the express delivery version of our BP2157 wireless power bank which is available at a lower price. 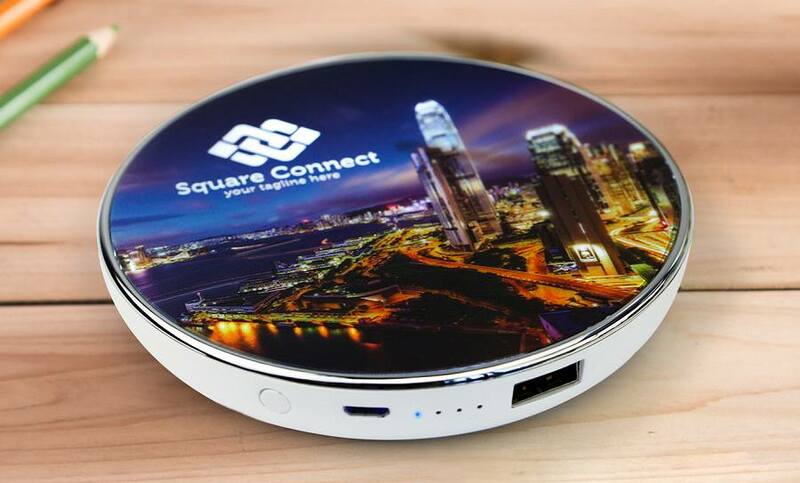 It is delightfully decorated and it allows you to charge your smartphone completely wirelessly with this Power Bank. No need for wires to charge your QI compatible mobile phone. Simply place the phone onto the pad. 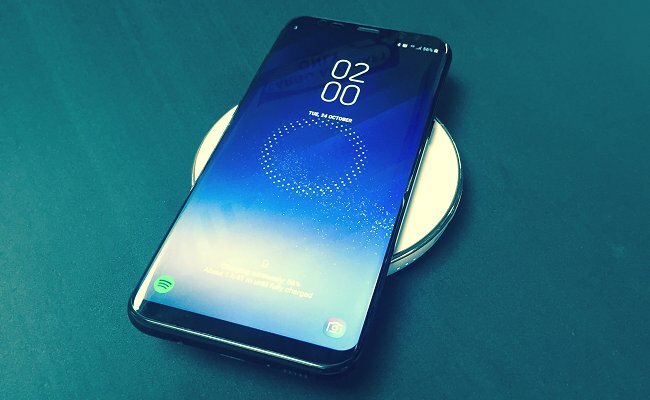 We have many more wireless charging products in our Wireless Chargers section. 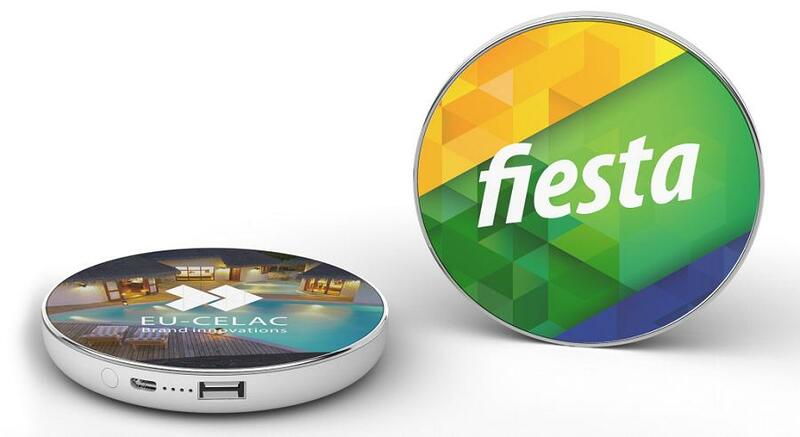 This is part of our vast range of promotional power banks. There is a tremendous choice to suit all budgets.